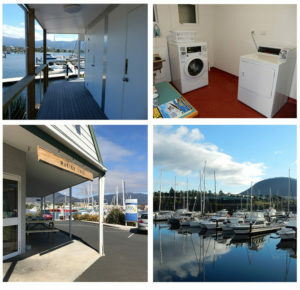 • Fully secured marina, monitored CCTV, card entry & parking • Close to all repair and maintenance services at CleanLIFT Marine, Tasmania's only fully compliant boat maintenance yard • Marina caters for all vessels - yachts, power boats and catamarans • Clean, modern facilities: showers, toilets and laundry • Centrally located for the East and South Coast cruising crowds. for all your maintenance requirements. 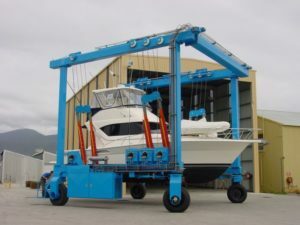 CleanLIFT Marine is easily accessed from the Prince of Wales Bay Marina and is Tasmania’s only fully compliant boat maintenance yard. and full servicing of vessel, equipment and main machinery. 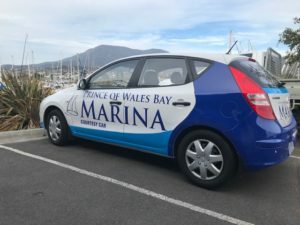 • Fully secured marina and car park with monitored CCTV and card entry. Security officers patrol our facilities regularly with 24-hour surveillance cameras to protect the marina. • Laundry, toilet and shower facilities. • The Marina Café is open 6 days a week. • Free WIFI is available. • The marina caters for all vessels; yachts, power boats and catamarans. • Waste Oil – A waste oil container is located at marina. • Garbage – waste bins and recycle bins are provided. 70T travelift for lifting boats out of the water. CleanLIFT is Tasmania’s only fully compliant boat maintenance yard. • Gas bottles can be refilled at BCF, 191-205 Derwent Park Road. • Car rental – There are many hire car companies just to the north of Hobart city centre. • Hardware – Bunnings is the closest and largest hardware store in Hobart. • Shopping – New town Plaza, Northgate Shopping Centre and Moonah Main Road nearby. • Banking – ATM nearby. • Bottle shop close by.